In studying Japanese wood construction, I was inspired by the Chidori wood joint, which does not require any metal fasteners. 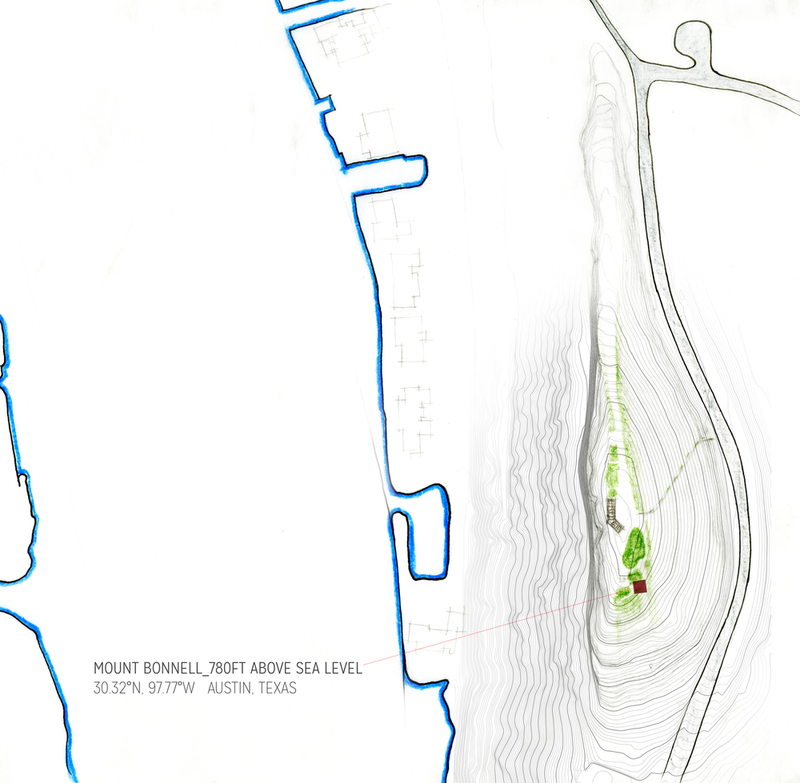 The base of the tower would be cast on concrete piers, aging over time atop the highest point in Austin. Each platform is oriented to a particular view of an Austin landmark or time of day. Due to varying the density of members, shading on the east and west sides is ideal for the hot summer months, and unique shadows are visible throughout the day. Views are still afforded from all sides, with the most open platform at the top. Sou Fujimoto’s Serpentine Pavilion offers a seemingly disordered matrix creating a new interpretation of the landscape. My observation tower, using a more rigid matrix and verticality, also suggests a re-imagination of the surrounding context.